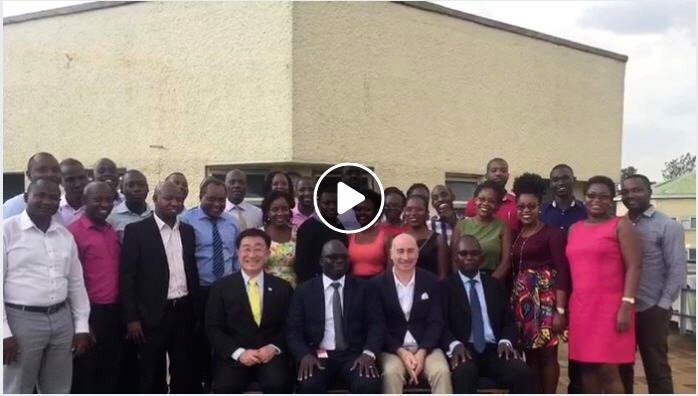 Dr.Sopon went through a teaching on mass appraisal successfully for the Kampala Capital City Authority in Uganda under the support of the World Bank. During Monday, January 29 to Friday, February 9, 2018, Dr.Sopon Pornchokchai, President of the Agency for Real Estate Affairs (www.area.co.th) and Director of the Thai Real Estate Business School (www.trebs.ac.th) together with Mr.Gino Mitrione from Melbourne went to teach Computer-assisted Mass Appraisal (CAMA) for some 28 officers of the Kampala Capital City Authority (KCCA) in Kampala, Uganda. This project was supported by the World Bank. This teaching of two weeks were successfully accomplished and would be a good prototype for any local authorities in different countries to conduct such a CAMA class in the future. During our class, we also conducted some survey in the field to understand local situation for proper uses of CAMA in real practices as well. In the future, the technical uses of computer programs such as Excel, SPSS, Mapinfo and Visual Basic should be applied in real practices as well. The followings are some photographs of the teaching.